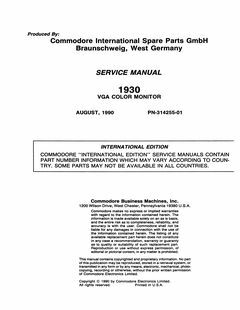 Added Service Manual 1930 VGA Color Monitor, thanks to Ove Mejlgaard. This entry was posted in Monitors and tagged monitor, pc, service manual, vga by Martin Sørensen. Bookmark the permalink.